This is a very interesting and detailed old article that was posted over the first american SF Community (Before SRK ever existed), i’m talking about alt.games.sf2, this article was made back in 1998 but it still being the most informative and complete one about the High Knockdown Trick on SFA2. I was planning to wrote one by myself, but i consider it kinda stupid having this one on my hands, i cant do it any better than this. Well, with no more preludes, here it’s the article, if somebody have the original link to the source please send it to me. – By HyprFytr (Rahmon Omar DeLoney). A while back I posted an article about how special juggle combos could be done after knocking someone down with a CC(i.e. with Sagat; couching Roundhouse, juggle with Fierce Tiger Uppercut). Since then I’ve learned a lot more about how the high knockdown trick works as well as a bunch of combos that can be done using it. your opponent with any kind of CC that ends in a knockdown. Then, as your opponent is getting up or _right_ after, if you connect with a move that knocks down(a sweep for instance) they will be knocked high in the air(much higher than they normally should) allowing you to hit them with a juggling move before they land. note: You can only follow up a HKD with a move that juggles, like Akuma’s DP or Guy’s HK, all non-juggling moves will whiff. An interesting thing about HKD’s is that you can normally only juggle an opponent knocked in the air on the way up or at the apex, as soon they start to fall you can no longer juggle. However, with a high knockdown, just like in CC mode, you can juggle an opponent no matter how high they are off the ground. This means, if you do a crouching Roundhouse that results in a high knockdown, you can wait till just before the opponent lands and still juggle them. Also, you aren’t limited to initiating a HKD with a sweep, certain special moves that knock down will work, too. Another cool thing about HKD’s is that they can be initiated with combos, as well. So, with E. Ryu as the opponent is getting up, you could do crouching Jab, crouching Short, Fierce Red Fireball(HKD), juggle with a Fierce Dragon Punch. It’s also possible to do repeated high knockdowns. For instance, with Sagat I could do a crouching Roundhouse as their getting up(HKD), juggle with a Fierce Tiger Uppercut. Then as they’re getting up from the TU, I could do another crouching Roundhouse(HKD), Fierce TU, crouching Roundhouse(HKD), Fierce TU, etc. As long as you keep getting consecutive HKD’s it can be repeated. In the First Screenshot, you can see normal Sagat's C.Roundhouse and his max appex, in the second one, Sagat's CC C.Rounhouse Max Appex. 1. The opponent rolls after the CC – This is the easiest and most common way to land a HKD in a match. If your opponent rolls right after getting hit by a CC, simply hit them out of it with a knockdown move or combo and you will get a high knockdown, FOR FREE. 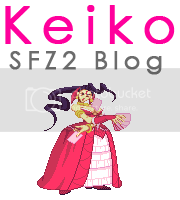 note: This will only work in regular SFA2, since you can’t roll after a CC in A2Gold(and I’m assuming, Z2A). 2. The opponent whiffs a Reversal Attack(“Reversal” _has_ to appear) – This means if they do any kind of Reversal Attack(including Supers), and it misses, you can hit them during the recovery with a knockdown move or combo and get a HKD. i.e. Ryu does a Reversal DP and it whiffs, if you do a knockdown move as he lands it will result in a HKD. 3. You stuff their Reversal Attack – Just like #2, except if you knock them out of the Reversal Attack with a knockdown move you will get a HKD. 4. You do an AC reversal – If you stick out an attack as the opponent is getting up which they AC and you reverse it, you will get a HKD. So with Sagat, you could do a crouching Strong(they AC), 2in1 Jab Tiger Uppercut(knocks them out of their AC and results in a HKD), then juggle with a Fierce Tiger Uppercut. happens to be the easiest way to get a HKD, and is a great way for doing repeated high knockdowns. 6. You dizzy them with a HKD move or combo – If you dizzy your opponent with repeated HKD’s, then hit them while they’re dizzy with a knockdown move or combo, it will result in another HKD. i.e. With Sagat, you do crouching Roundhouse(HKD), Fierce TU, repeatedly till your opponent gets dizzy. While they’re dizzy you could do a combo like Jumping Roundhouse, crouching Roundhouse(HKD), Fierce Tiger Uppercut. note: This is only really useful while practicing, since landing repeated HKD’s on someone in a real match is just about impossible. 7. You counter them as they’re getting up – This one is kinda hard to explain, since I’m not exactly sure why this sometimes works, and sometimes doesn’t. When I originally posted about the HKD trick, I believed that all you had to do was counter your opponent with a knockdown move as they’re getting up and it would result in a HKD. Meaning, that if your opponent is entering any kind of joystick command(besides blocking) or button command, as they’re getting up and you hit them with a knockdown move, you’d get a HKD. I soon found out that is not always the case. It works a lot of times when your opponent is going for a Reversal and miss-times it, and your knockdown move hits them, but not always. I guess it’s something specific that they’re doing that makes a HKD possible, but I’m not exactly sure what it is yet. note: This makes jump-in or crossup HKD combos possible. 8. You AC their Reversal Attack – AFAIK, this one is worthless. If you rebuild your meter through repeated HKD’s then have your opponent do a Reversal and you do an AC that knocks down, the AC will result in a HKD. Unfortunately, you can’t follow-up the HKD because your opponent will have that ‘spinning’ animation and apparently can’t be hit. I only mention this one, because I haven’t bothered to try it with all the different AC’s, so I’m not 100% sure that none of them can be followed-up. 9. You link a knockdown move at the end of a non-knockdown CC – This is a special circumstance where you don’t actually have to knock your opponent down with the CC before getting a HKD. Basically, if you do a CC consisting of all non-knockdown moves(like a bunch of standing normals or stream of fireballs) you can link a knockdown move at the end of the CC, and get a HKD. So, with Sakura you could activate a CC, do a bunch of standing normals(lame, I know), then just as your meter runs completely out, link a normal crouching Roundhouse while they’re still in hit stun(results in a HKD), and then juggle with a Strong DP. Here’s a list of moves for each character that will cause a HKD after a CC ends. Ryu/E.Ryu: Crouching Roundhouse/Crouching Roundhouse, Fierce Red Fireball. Rose: Crouching Roundhouse, Soul Spiral. Akuma: Crouching Roundhouse, Fireball(close), Red Fireball(1,2 or 3 hit), d,db,f,uf+Punch move. Sagat: Crouching Roundhouse, Jab Tiger Uppercut. Rolento: Has no moves that will HKD. Dhalsim: db+Roundhouse, Strong/Fierce Yoga Fire, Yoga Flame. Gen: Has no moves in either style that will HKD. Adon – Jumping Fierce, crouching Roundhouse(HKD), Roundhouse Jaguar Kick. E. Ryu – Crouching Jab, crouching Short, Fierce Red Fireball(HKD), Short HK, Fierce DP. (vs. Zangief, corner only). Chun Li – Jumping Roundhouse, crouching Roundhouse(HKD), Triple Up-Kick. Sagat – Crossup Short, crouching Strong, Jab Tiger Uppercut, Fierce Tiger Uppercut. Charlie – Jumping Roundhouse, crouching Roundhouse(HKD), Level 3 Somersault Justice (corner). Guy – Jumping Roundhouse, crouching Forward(HKD), Level 3 Air Punch Super. Ken – Jumping Fierce, crouching Roundhouse(HKD), 2in1 Short Roll, Level 3 Shinryuken. Rose – Jumping Roundhouse, crouching Jab, crouching Short, crouching Strong, Short Drill(HKD), Level 2 Aura Soul Catch (corner). Akuma – Jumping Fierce, crouching Roundhouse(HKD), Short HK, Short HK, jump towards Level 3 Air Super Fireball or Level 3 DP. Dhalsim – b+Fierce(headbutt), Jab Yoga Flame(HKD), Level 3 Yoga Inferno (corner). Zangief – Crossup d+Fierce, bd+Roundhouse, Level 3 Air Catch Super(A2Gold, Z2A only). There’s a bunch of other combos that can done using the trick, but the examples should give you the idea. Also, it’s possible to juggle with a CC after a HKD when you rebuild your meter. Well, that’s about all I have to report on the high knockdown trick. I hesitated to post all this, since A2 is such an old game, but figured someone may find it of interest. There’s also another little CC trick I found that I was thinking of posting in the future, but this should be enough for now =).